Good News producer Karan Johar announced the release date of Kareena Kapoor, Akshay Kumar, Kiara Advani and Diljit Dosanjh's film on Monday. The Raj Mehta-directed film, which was earlier slated to release on July 19, 2019, will now hit the screens on September 6 this year. "Good News releases on the September 6, 2019!!! Starring Akshay, Kareena, Diljit and Kiara! Directed by Raj Mehta," Karan tweeted. Kareena Kapoor and Akshay Kumar will headline the cast of Good News, which revolves around a Punjabi married couple trying to have a baby. Kiara and Diljit will also play a married couple in the film. Good News went on floor in November last year. Kiara Advani and Diljit Dosanjh had shared photos and videos from the first day on the sets of the film. Kiara had posted a boomerang video featuring Diljit Dosanjh and herself holding the film's clapboard. "Have you heard the news today? Chill... It's all Good News! Raj Mehta, Diljit Dosanjh and I are missing you Akshay Kumar sir, Kareena Kapoor, Karan Johar and Shashank Khaitan see you all soon!" Kiara captioned the video. According to reports, Kareena and Akshay will soon start shooting for the film. 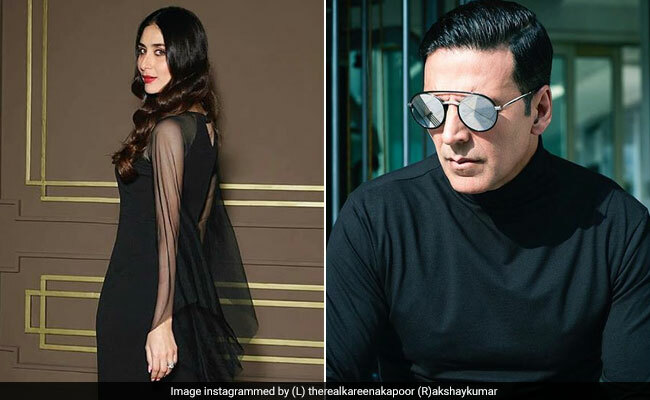 Kareena and Akshay, who have previously worked together in films like Ajnabee, Kambakkht Ishq, Aitraaz, Tashaan, Dosti and Bewafaa, are collaborating for a film after a span of close to 10 years. Kareena had an extended cameo in in Akshay Kumar's 2015 release Gabbar Is Back. Kiara Advani was last seen in Netflix anthology Lust Stories. The 26-year-old actress appeared in the segment directed by Karan Johar, which also featured Vicky Kaushal and Neha Dhupia. Diljit Dosanjh, who made his Bollywood debut opposite Kareena Kapoor in 2016 film Udta Punjab, is collaborating with the actress for the second time.